How could you ever get bored of this? Not much of a view today. I had a mixed weekend working on some AMI Trainee Workshops last weekend. The short roping day with Geoff and Ben was very constructive and we had perfect weather. In contrast, the improvised rescue with Geoff and Dave on the next day was a complete washout so we were very kindly allowed to use the Plas y Brenin facilities. 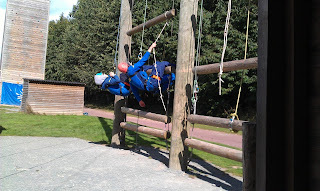 We covered everything we needed to cover and more by using the anchors under the canopy in the morning and a load of hanging around in the teaching wall in the afternoon. The day was salvaged and Dave and Geoff went home happy and with loads to think about before their assessment. 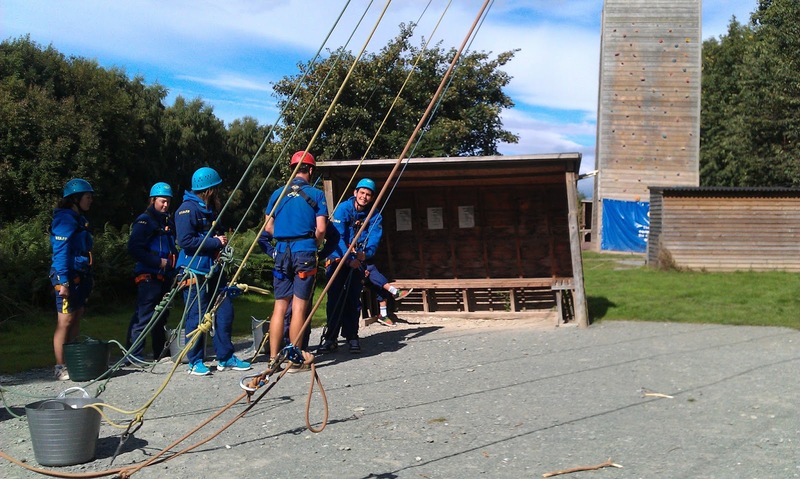 I was in Shropshire over the weekend conducting staff assessments on rope activities such as abseiling, ropes courses and climbing walls. This was the first opportunity I've had to visit the site of a land slip from last Winter on the flanks of Moel Eilio. I had seen it from a distance but nothing prepared me for the size and depth of the devastation. The most fascinating aspect of this full depth land slip was to see the glacial striations exposed on the bedrock for the first time in thousands of years. I was out with Tim and Dave today to give them a bit of a shakedown before their MIA assessment. We spent the day looking at scrambling and short roping techniques on Tryfan Bach and Nor Nor Buttress variant with a descent of North and Little Gully. It was really nice to have the mountains to ourselves after the busy Summer.